Ian has been Organist & Choirmaster / Musical Director since 1987 and is now the longest serving incumbent of this post in the parish’s history. He is committed to collaborative and inclusive worship through music which has seen the variety of worship styles and musical accompaniments expand over the years to embrace the significant changes which have taken place in the parish. 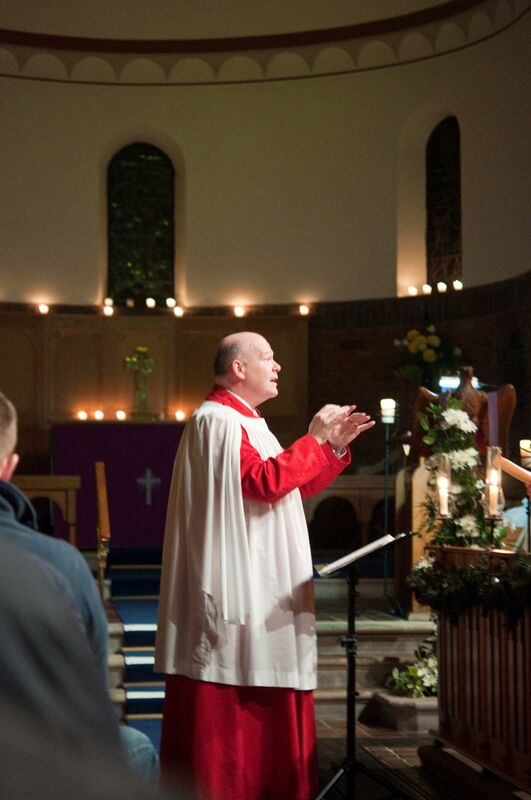 The ‘all–age’ nature of the worship at Ballyholme involves many instrumentalists, singers and a 4 part robed choir. Ian is also very involved in developing the creative role of music in worship and this has been evident in the wide variety of Taize, Iona, worship song, liturgical chant and choral music now used every Sunday. Ian is also a busy Principal of Movilla High School, Newtownards, and Musical Director for Ards Choral Society. He acts as Producer for Upstage Downstage Musical company which began in the parish in 1998. He also maintains his musical interests with many local amateur musical societies and is Chorus Director for touring productions at the Grand Opera House, Belfast. Ian is married to Eleanor who also is involved with the Parish as a member of the choir and they have two sons, Timothy and Adam . He enjoys the relaxation and refreshment of travel with his family and enjoys the solace afforded as a keen gardener. He wishes he had more time to compose his own music !